A prior post discussed a mysterious mark that appears on costume jewelry pieces featuring Chinese cloisonne beads. 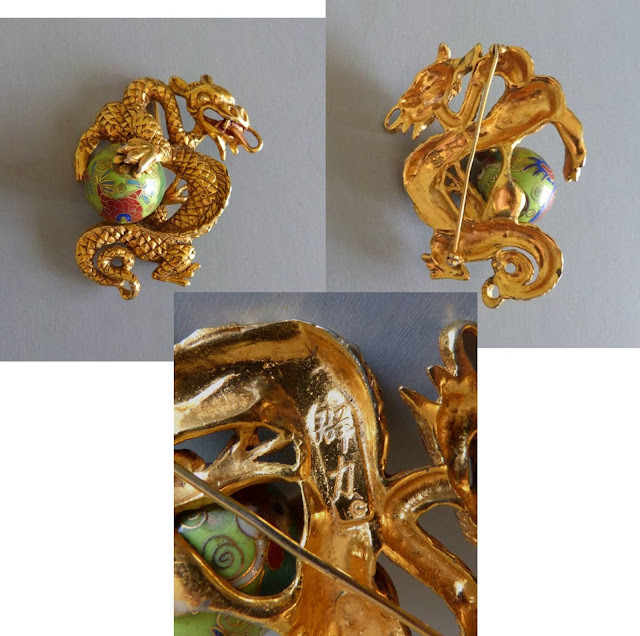 These pieces seem to be attributable to Louis Mark, a designer popular in the 1940s. 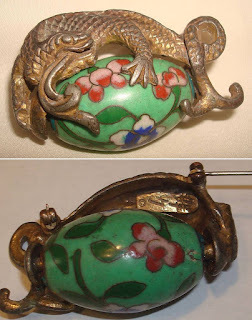 Dragon egg brooch from eBay vendor ling805. 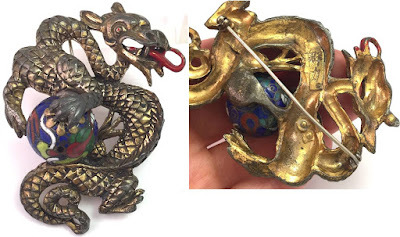 The above pieces feature nice Deco-era Chinese cloisonne beads. Both pieces have been given a gold finish, which I think makes them a bit more attractive than unplated pot metal.